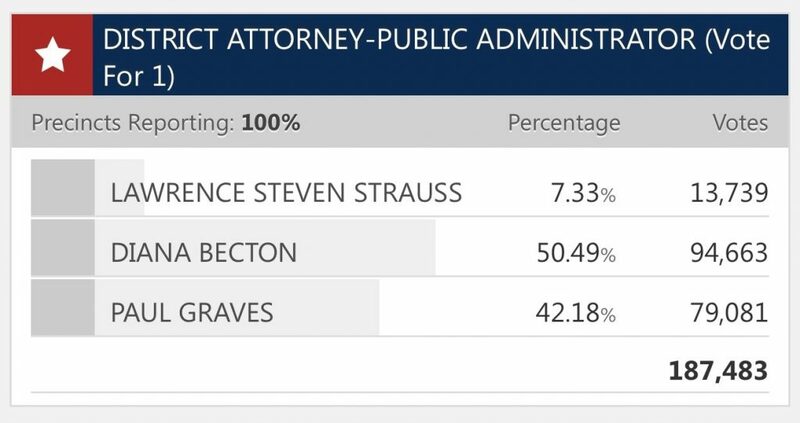 Becton now has 921 more votes than is needed to win, with 50.49% of the vote, up from 50.01% in the last update on June 8. The County Clerk-Registrar of Voters office announced on Wednesday that they have approximately 10,000 ballots left to count and that some of those might be disqualified. According to County Clerk-Registrar of Voters Joe Canciamilla, the final election results are expected to be announced next Friday, June 22 by 5:00 p.m. Please check back later for those.